Smart network already rolled out LTE network nationwide, but not of all of us are now using LTE SIM. Some subscribers also purchased a new Smart SIM card, but do not know if it is LTE ready or capable. This kind of network service is a very important to us as it speeds up our mobile internet and make the network more stable with the help of the new 700 MHz frequency. To enjoy faster streaming, downloading, gaming and more when using their promos you must have an LTE capable device, LTE SIM and LTE covered area. To check your smartphone connectivity, you can visit the manufacturer’s website then check the network specifications. For you location, you can visit Smart Network Finder to find out if your area is already covered with LTE or you can do a manual network search using your phone. 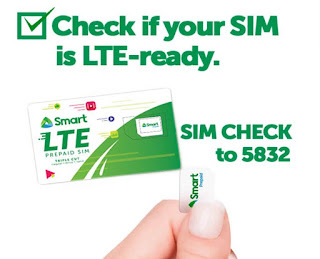 Smart launched the SIM CHECK service where you can simply text a code to know if your SIM is LTE ready. This is applicable also to Talk N Text and Sun Cellular subscribers all free. SMS will confirm if your SIM is LTE ready. 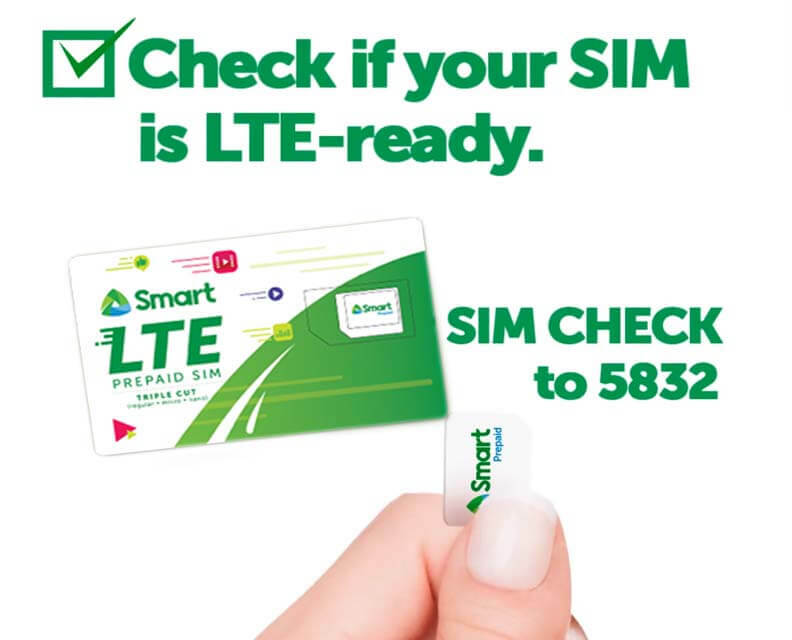 If you are still using a non-LTE SIM, please go to the nearest Smart Wireless Center or Sun Shop near you. You can now upgrade your SIM for free without changing your mobile number.